As I indicate in Darwinian Conservatism, the arguments for "intelligent design theory" as an alternative to Darwinian evolution were first stated in Book 10 of Plato's Laws. Leo Strauss's book on Plato's Laws raises questions about intelligent design in Plato's political theology. Those questions suggest the possibility that there might be a natural moral sense in at least some people that does not depend on the cosmic teleology of Plato's intelligent design theology. And if so, that suggests the possibility of justifying natural right as rooted in a moral sense of human nature shaped by natural evolution, which would not require an intelligent design theology. In Plato's dialogue, the Athenian character warns against those natural philosophers who teach that the ultimate elements in the universe and the heavenly bodies were brought into being not by divine intelligence or art but by natural necessity and chance. These natural philosophers teach that the gods and the moral laws attributed to the gods are human inventions. This scientific naturalism appeared to subvert the religious order by teaching atheism. It appeared to subvert the moral order by teaching moral relativism. And it appeared to subvert the political order by depriving the laws of their religious and moral sanction. Plato's Athenian character responds to this threat by developing the reasoning for the intelligent design position as based on four kinds of arguments: a scientific argument, a religious argument, a moral argument, and a political argument. His scientific argument is that the complex, functional order of the cosmos shows an intentional design by an intelligent agent that cannot be explained through the unintelligent causes of random contingency and natural necessity. His religious argument is that this intelligent designer must be a disembodied intelligence, which is God. His moral argument is that this divine designer is a moral lawgiver who supports human morality. His political argument is that to protect the political order against scientific atheism and immorality, lawgivers must promote the teaching of intelligent design as the alternative to scientific naturalism. Two thousand years later, William Jennings Bryan developed these same four arguments for intelligent design as superior to Darwinian naturalism. Recent intelligent design proponents such as Phillip Johnson, Michael Behe, and Bill Dembski have elaborated these same four arguments. What's Strauss's position? Often it seems that Strauss and his students agree with Plato's intelligent design theology. They argue that natural right--as the alternative to moral relativism and nihilism--depends upon a cosmic teleology in which the cosmos has been intelligently designed to aim at certain ends that set the standards for natural right. And yet it sometimes seems that Strauss and his students regard this intelligent design teleology as only a "noble lie." Does this imply that Socratic philosophers with "a character by nature good" could be good even without believing in the cosmic teleology of intelligent design theology? But if many people cannot be good without believing in the intelligent design theology, would the Socratic philosophers be obligated to dissemble by not openly declaring their atheism? Why not then say that religion and intelligent design theology might be useful to reinforce morality, even though morality might be rooted in a natural moral sense for those without religous belief? Could that natural moral sense be a product of the natural evolution of the human species? That was Darwin's position, and I see no reason why it could not be adopted by conservatives as a sensible account of morality and religious belief. Conservatives could defend this as Darwinian natural right. 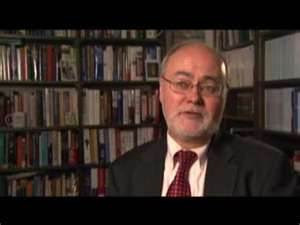 In Darwinian Conservatism, I have a long section criticizing Richard Weikart's book From Darwin to Hitler, which argues that Darwin's ideas prepared the way for Hitler and Nazism. I have also summarized some of my criticisms on this blog. Weikart's book was financed by the Discovery Institute as part of their "wedge strategy" for attacking Darwinian science as morally corrupting in its atheism. The book is now commonly cited by proponents of creationism and intelligent design as scholarly proof that there is a direct line of influence "from Darwin to Hitler." But as I have shown, Weikart doesn't actually show any direct connection between Darwin and Hitler. In fact, Weikart has responded to my criticisms by admitting that the title of his book is misleading, since he cannot show any direct link between Darwin's ideas and Hitler's Nazism. Professor Allen confirms my criticisms. She agrees with me that Weikart's talk about "Darwinism" is not based on any careful reading of Darwin himself but on vague ideas by a variety of people who presented themselves as "Darwinian," although their thinking was not directly shaped by Darwin's ideas. She also agrees that some of the fundamental elements of Nazism--such as anti-Semitism--clearly cannot be attributed to Darwinism. Weikart insists that the traditional "Judeo-Christian ethic" was opposed to Hitler and Nazism, but he ignores the importance of Christian anti-Semitism in Germany (beginning with Martin Luther) in shaping the cultural roots of Nazism. "This picture of the Holocaust as the outcome of a 'culture war' between religion and science leads to serious distortions on both sides. The 'Judeo-Christian' worldview is unproblematically associated here with many beliefs--such as opposition to birth control, legalized abortion, and assisted suicide--that many believing Christians and Jews would reject. And 'Darwinism' is equated with a hodgepodge of ideas about race, politics, and social issues. If all these ideas were to fall into well-deserved obsolescence, this would in no way detract from the validity of Darwin's contributions to modern biological science. Neither religion nor science is well served by this oversimplified view of their complex history." Recognizing Hitler's tyranny for what it is requires a natural moral sense. Darwinian science supports that moral sense by explaining how it expresses the evolved desires of the human animal. Such a moral sense as rooted in human biological nature is a crucial part of Darwinian conservatism. Posts on related themes can be found here and here. In my book Darwinian Conservatism, I say very little about international relations and foreign policy. Francis Fukuyama's article in The New York Times Magazine(February 19)on neoconservatism and the Iraq war indicates to me the kind of foreign policy that would be supported by Darwinian conservatism. Although Fukuyama would not identify himself as a Darwinian conservative, Carson Holloway does identify him--along with James Q. Wilson and me--as a Darwinian conservative, and thus an object of his attack. Fukuyama announces in this article that he can no longer consider himself a neoconservative, because he disagrees with the neoconservative foreign policy that supported the American invasion of Iraq. He agrees with the neoconservatives that American foreign policy should advance the ideals of democratic liberty. But he does not think that the unilateral and preemptive use of force in Iraq is a good means to achieve that end. More generally, he accuses the neoconservatives of discarding what he thought was originally fundamental to the neoconservative position--a realistic suspicion that grand social engineering can work without undesirable and unintended side effects. In Iraq, American forces are attempting to impose a new democratic regime as a massive project in social engineering, and Fukuyama regards this as naively utopian. I agree with Fukuyama, and I think his major points conform to my arguments for Darwinian conservatism on at least four points. First, I agree with Fukuyama's "end of history" argument insofar as this means that liberal democratic capitalism has a universal appeal to human beings because it satisfies the 20 natural desires that constitute the motivational core of human nature. I also agree, however, with Fukuyama's claim that the Bush neoconservatives are mistaken in thinking that the "end of history" is best achieved by preemptive wars of democratic imperialism. Rather, this will be achieved only gradually over a long period of time as people around the world are attracted by the success of the Western liberal democratic regimes. Second, I agree with Fukuyama that the "end of history" does not mean the end of war or conflict. One of the 20 natural desires is the desire for war to defend one's society against others. The tendency to in-group/out-group behavior is so deep that there is no reason to think that the "end of history" will bring perpetual peace. Third, I agree with Fukuyama that social order arises not just from a universal human nature but also from cultural traditions and deliberate choices. Consequently, the 20 natural desires of human beings will be diversely expressed in different societies based on the local traditions and choices of each society. So although liberal democratic capitalism should have a universal appeal because it fosters the satisfaction of natural human desires, we should expect that the particular social orders around the world will develop in unique ways to express the traditions and choices of each people. The Darwinian emergence of social order is a complex interaction between natural selection, cultural selection, and deliberate choice. So if an Islamic democracy does emerge in Iraq, it will do so through a long period of social evolution and particular choices that cannot be planned out according to some rational design given them by Americans. Finally, I agree with Fukuyama's fundamental point that the democratic imperialism of the neoconservatives is utopian, because it ignores human imperfectibility. To assume that we can design liberal democratic regimes for every society and enforce our designs by force assumes more knowledge and virtue than human beings have. When George Bush proclaims--as he did in his Second Inaugural Address--that American foreign policy will have "the ultimate goal of ending tyranny in the world," he adopts a utopian idealism that is contrary to the conservative principle of the imperfectibility of human nature. In that Second Inaugural, Bush did go on to say that freedom cannot be imposed by force of arms because freedom must be chosen by every people, who will adopt institutions that "reflect customs and traditions very different from our own." But that prudent stance is denied by the democratic imperialism that Bush and the neoconservatives have adopted in Iraq. David Gordon has written a review of Darwinian Conservatism for The Mises Review (the winter 2005 issue), which is published by the Ludwig von Mises Institute. Unfortunately, this issue is not yet available at the website for the Mises Institute. Gordon praises the book as "valuable" and "provocative," and he urges his readers to read it. As a libertarian, he is pleased that I defend libertarian principles of private property and limited government. He generally agrees with my argument that leftist programs tend to go against human nature. But he also suggests some possible objections to my position. The first objection is that Darwinism does not add much to what we already know about human nature. "Did we not know, long before Darwin, that human beings have a nature? Must we appeal to speculations about the behavior of baboons and chimpanzees to justify our acceptance of obvious truths?" In response, I would stress that my Darwinian conservatism provides support for the natural-law libertarianism of Murray Rothbard. As far back as 1983, I began talking with Rothbard, and he was enthusiastic about my idea that Darwinian science could sustain an ethics of natural law. In The Ethics of Liberty, Rothbard rooted his libertarian ethics in "the natural laws of the human organism" (1982, p. 32). In Economic Thought Before Adam Smith, Rothbard explained: "Natural law sees ethics as living-entity- (or species-) relative. What is good for cabbages will differ from what is good for rabbits, which in turn will differ from what is good or bad for man. The ethic for each species will differ according to their respective natures" (p. 4). He elaborated his ethics of liberty as founded in the natural inclinations of the human animal. Darwinian conservatism provides a biological account of those natural inclinations and of how they sustain a natural moral sense. Human nature and natural inclinations as the ground of ethics might be "obvious" to Gordon. But Rothbard indicated that intellectuals commonly reject the idea of human nature and of ethics as rooted in natural inclinations. So it seems important to me to show how Darwinian science confirms Rothbard's natural-law libertarianism. Gordon's second objection is that appealing to human nature in arguments against the statist left are not very useful if the limits of human nature are so broad that leftist programs cannot be rejected as absolutely impossible. But of course the same point could be made about any libertarian argument. When libertarians like Mises and Hayek argue against socialism, they cannot show that socialism is absolutely impossible. But they can show that the human costs of socialism are high because it denies the imperfectibility of human nature. Darwinian conservatism reinforces that argument by indicating how that limited human nature arises from human biology. Gordon's third objection arises from his acceptance of the fact-value distinction and his belief that rooting morality in natural moral emotions cannot explain "moral obligation." Like Adam Smith, David Hume, and Charles Darwin, I believe that morality is ultimately grounded in moral emotions or sentiments. Our feeling of obligation--that we ought or ought not to do something--really is a feeling or emotion, and our morality ultimately depends upon those moral emotions of the human mind as shaped by natural evolution to be part of human nature. That's why I agree with Rothbard that what is good is relative to each species. If human nature were radically different from what it is, human morality would be different. By contrast, Gordon believes that "moral obligation" requires a "direct perception of something" that is beyond the natural world. My only response to that is to ask him to explain and defend the idea that there is another world beyond the natural world, that moral norms are found in that other world, and that those transcendent moral norms somehow enter our natural world. He might then have to defend Kant's appeal to the "noumental" world of the "moral ought" beyond the observable world of nature. Such a radically dualistic metaphysics makes no sense to me. And I am not persuaded that a transcendentalist libertarianism would be superior to Rothbard's naturalistic libertarianism. On February 12, 1809, Abraham Lincoln was born in Hardin County, Kentucky; and Charles Darwin was born in Shrewsbury, England. The coincidence of their being born on the same day might lead us to think about other points of similarity in their lives. William Herndon was Lincoln's friend and law partner, and he wrote one of the best biographies of Lincoln. He says that he gave Lincoln a copy of Robert Chambers' book Vestiges of the Natural History of Creation, which was first published in 1844. Chambers set forth a theory of evolution that Darwin later acknowledged as a forerunner of his theory. Chambers' book created a great controversy, because many people saw it as denying the role of God as Creator of the universe. According to Herndon, Lincoln was persuaded to adopt this new theory of evolution, because it confirmed his belief that everything in the universe must occur by natural causes. So it seems that Lincoln and Darwin were in agreement in their scientific naturalism and evolutionary views. Because of their reliance on scientific explanation, both Lincoln and Darwin were accused by some people of promoting atheism by denying the doctrine of Creation. According to Herndon, Lincoln as a young man wrote a book against Christianity arguing that the Bible was not divinely inspired and that Jesus was not the son of God. He was warned by his friends that it was dangerous to make such arguments in public. In 1846, Lincoln was running for election to Congress, and he had to answer the charge that he was an "infidel." In his written response, he acknowledged that he had never been a member of any Christian church. But he insisted that he had never openly promoted disrespect for Christianity. He conceded that he had defended--in private with a few friends--the "doctrine of necessity" that the human mind is determined by causal necessity beyond its control. But he thought some Christian denominations defended the same doctrine. Moreover, he wrote: "I do not think I could myself be brought to support a man for office, whom I knew to be an open enemy of, and scoffer at, religion. Leaving the higher matter of eternal consequences, between him and his Maker, I still do not think any man has the right thus to insult the feelings, and injure the morals, of the community in which he may live." Lincoln often spoke as if God as Creator must be the First Cause of the universe, and he also commonly invoked the Bible as a source of moral teaching. And yet he also appealed to a natural "moral sense" inherent in human nature, which suggested a natural morality that did not depend on biblical doctrine. One manifest expression of the "moral sense," according to Lincoln, was the moral feeling against slavery. To reinforce this moral feeling that slavery was unjust, Lincoln would quote the scriptural doctrine of human beings as created in God's image and the scriptural teaching of the golden rule. He did this despite the fact that the pro-slavery Christians in the American South quoted the specific passages on slavery in the Bible as supporting slavery. On all of these points, Darwin took similar positions. Although he began life as an orthodox Christian, he eventually reached a point of being a skeptic or agnostic. He was particularly disturbed by the unmerited suffering of human beings--such as his child Annie, who died when she was 10 years old--as casting doubt on the existence of an all-good God. And yet he acknowledged that the First Cause of the universe was a mystery pointing to the existence of God. In his published writings, he regularly acknowledged that evolution might depend ultimately on the laws that the Creator had impressed on matter. Darwin also agreed with Lincoln in seeing morality as rooted in a natural "moral sense." Although this natural morality could stand on its own, it could also be reinforced by biblical morality. Like Lincoln, Darwin saw the Bible's teaching of the golden rule as confirming the ultimate principle of natural morality. Darwin was also a fervent critic of slavery as contrary to the natural moral sense. Against the scientific racists who argued that the human races were actually separate species, Darwin laid out the evidence for the universal traits shared by all human races as members of the same species. On all of these points, Lincoln and Darwin support what I have defended in Darwinian Conservatism. We can explain the natural order of the universe as a product of natural evolutionary causes. But if we ask about the First Causes of Nature itself, we face a mystery that points to God as Creator. There is a natural moral sense that allows us to make moral judgments independently of any religious beliefs. And yet Biblical religion can reinforce natural morality by appeal to God as the moral lawgiver. Moreover, religion generally can have beneficial social effects because it helps people to cooperate more effectively by promoting social trust among the believers. These are some of the topics we might ponder as we celebrate the birthday of Abraham Lincoln and Charles Darwin. Those influenced by Leo Strauss cannot agree on how to solve what he identified as the fundamental problem of natural right. The problem is that the ancient Aristotelian idea of natural right seems to depend on a teleological conception of the universe that has been refuted by modern natural science. I have argued--in Darwinian Natural Right and Darwinian Conservatism--that a Darwinian natural science can support an Aristotelian conception of natural right. But many, if not most, of those under Strauss's influence would reject this position, because they believe that Darwinism must deny the fundamental premises of natural right in denying the uniqueness of human beings as set apart from the rest of animal nature and in denying the cosmic teleology that sustains human purposefulness. In the Introduction to Natural Right and History, Strauss claimed that the most serious problem for the ancient Greek idea of natural right is that it seems to have been refuted by modern natural science. Natural right in its classic form requires a teleological view of nature, because reason can discern what is by nature good for human beings only if they have a natural end. Strauss thought Aristotle had the clearest view of this dependence of natural right on natural teleology. Modern natural science, however, seems to deny natural teleology by explaining natural phenomena as determined by mechanical causes that act without ends or purposes. This creates a dilemma. If the science of man is to be a part of a nonteleological science of nature, then human action must be explained by reduction to physical impusles, which seems inadequate to explain human ends. The only alternative appears to be "a fundamental, typically modern, dualism of a nonteleological natural science and a teleological science of man," but this rejects the comprehensive naturalism of the premodern exponents of natural right such as Aristotle and Thomas Aquinas. Neither reductionism nor dualism is fully satisfactory. Strauss concluded: "The fundamental dilemma, in whose grip we are, is caused by the victory of modern natural science. An adequate solution to the problem of natural right cannot be found before this basic problem has been solved." "Needless to say," Strauss then added, "the present lectures cannot deal with this problem," because the lectures published as Natural Right and History are "limited to that aspect of the problem of natural right which can be clarified within the confines of the social sciences." The two unsatisfactory alternatives identified by Strauss are what I would call "reductionist monism" and "transcendentalist dualism." According to reductionist monism, everything should be ultimately reducible to physical mechanism. But this cannot adequately explain the evident purposefulness of human thought and action. According to transcendentalist dualism, human beings are uniquely free as spiritual beings to transcend the nonteleological realm of natural causes. But this typically modern dualism denies us the comprehensive science that we need to make the whole intelligible as a whole. Strauss sometimes spoke of a "dualism of the sciences: the sciences of nature and the sciences of man as man" as a "convenient practical solution." But he regarded this as only "provisionally indispensable," because he thought the final goal should be a "comprehensive science." As an escape from this dilemma that would move towards a "comprehensive science," my conception of "Darwinian natural right" rests on what I would call "emergentist naturalism." Unlike the transcendentalist dualist, I recognize the continuity of nature and the integration of human beings within the natural order. Unlike the reductionist monist, I recognize the irreducible complexity of nature in which novel properties emerge at higher levels of organization that cannot be reduced to lower levels, so that the uniqueness of human beings comes from the emergent properties that distinguish the human species--most notably, the size and complexity of the frontal lobes of the human brain as a product of primate evolution. I have elaborated this point in Darwinian Conservatism in the chapter on "emergence." Strauss recognized that the ultimate source of the modern dualistic separation of nature and culture is Hobbes., Despite the monism of Hobbes's materialism, his political teaching presupposes a dualistic opposition between animal nature and human will or reason: in creating political order, human beings use their rational will to transcend and conquer nature. This Hobbesian dualism was explicitly developed by Kant, who originally formulated the modern concept of culture as that uniquely human realm of artifice in which human beings escape their natural animality to express their rational humanity as the only beings who have a "supersensible faculty" for moral freedom. Through culture, human beings free themselves from the laws of nature. To overcome the intellectual crisis created by this Hobbesian-Kantian dualism, Strauss hoped for a comprehensive science of nature that would reconcile modern natural science and Aristotelian natural right. But he was resigned to accepting a dualism between nature and humanity until his hope for a comprehensive science could be fulfilled. One reason for why Strauss found dualism unsatisfactory is that it was one of the fundamental themes in Martin Heidegger's philosophic endorsement of Nazism. Arguing against "biologism," which treats human beings as rational animals rooted in the natural world, Heidegger believed that National Socialism would vindicate the spiritual freedom of the German people as "world-building" historical beings who transcend their natural animality. This dichotomy between the freedom of human history and the determinism of animal nature supported Heidegger's historicist nihilism as unconstrained by natural right. In contrast to such dualistic separation between humanity and nature, I argue for the sort of comprehensive science that Strauss sought as manifested in a scientific naturalism rooted in Darwinian evolution. In such a science, morality could be studied scientifically as an expression of natural moral sentiments, which are natural in the sense that normal human beings in normal circumstances are born with natural propensities to learn the moral emotions necessary for living as social animals. And yet the specific content of moral rules will vary according to individual temperament and social circumstances. Judging what is right for particular people in particular situations will require practical judgment or prudence. This way of understanding the science of morality as part of a comprehensive science of nature would seem to come close to what Strauss sought. invading Canada! The opponents of the Straussian conspiracy in Canada are led by Shadia Drury, who once told a friend of mine that I was the only "reasonable" Straussian. Hmm . . . I have written a series of posts on teleology. The links can be found here.